​My love of makeup started as child with a love for art. As I grew older and was allowed to FINALLY experiment with makeup my true love affair began. I worked as a makeup artist for one of the top cosmetics lines in the industry for over 10 years, as well as been freelancing over 13 years. During that time I exposed myself to the latest trends in makeup, great tips and tricks, talented photographers, stylists, up and coming musicians and fashion show worthy looks. I have worked with some talented people over the years, in photography, film and TV. 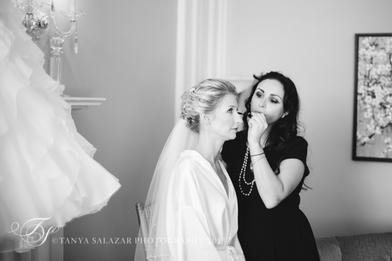 I have been featured in Manhattan Bride, Westchester Magazine and other publications. I can honestly say, I truly LOVE what I do. I just want everyone feel like the best version of themselves no matter what the occasion.